In Barrio de Gracia, Barcelona, a bare concrete wall on the side of a building had been occupied by sparrows, nesting in random holes in the wall. Eventually the wall was repaired, plugging up all the holes, and the sparrows disappeared. 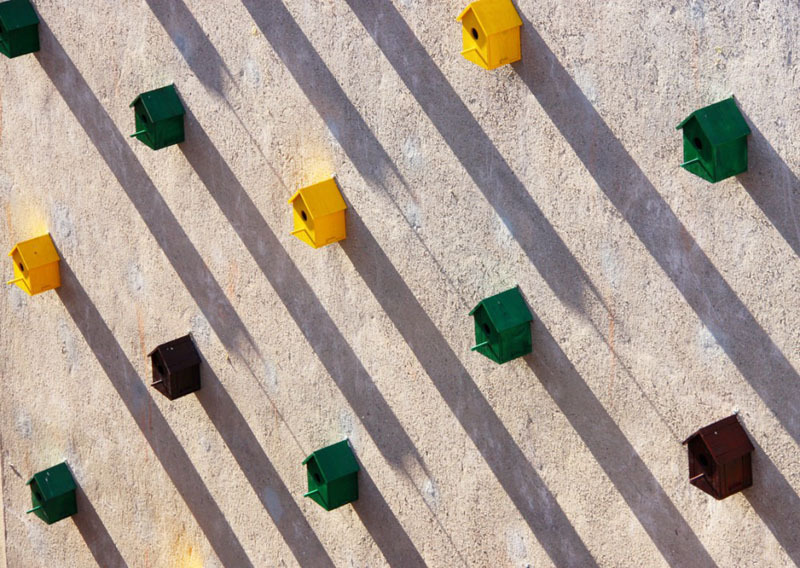 In an effort to bring the sparrows back, Dom Arquitectura placed colorful birdhouses equally spaced in rows on the same wall. Not only do the birdhouses bring joyful color to the wall, but the sparrows returned adding life, flight and song to the neighborhood. Nice! 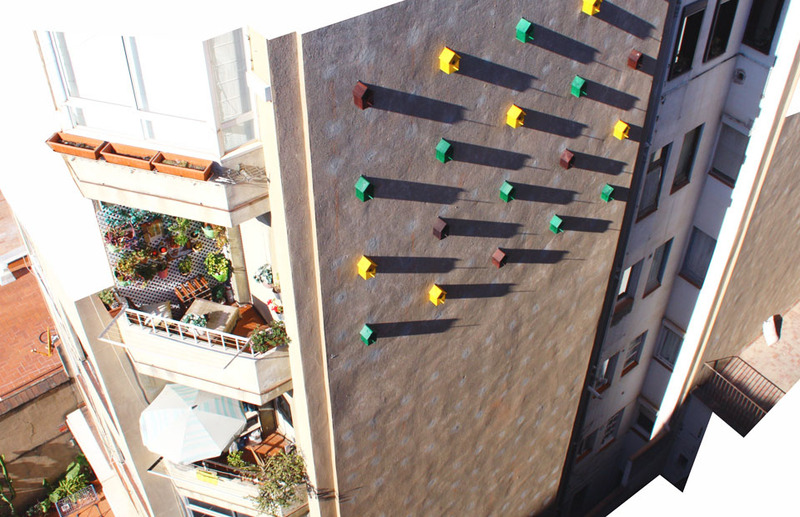 This entry was posted in Architecture, Interaction Design, Stuff We Like. Bookmark the permalink.